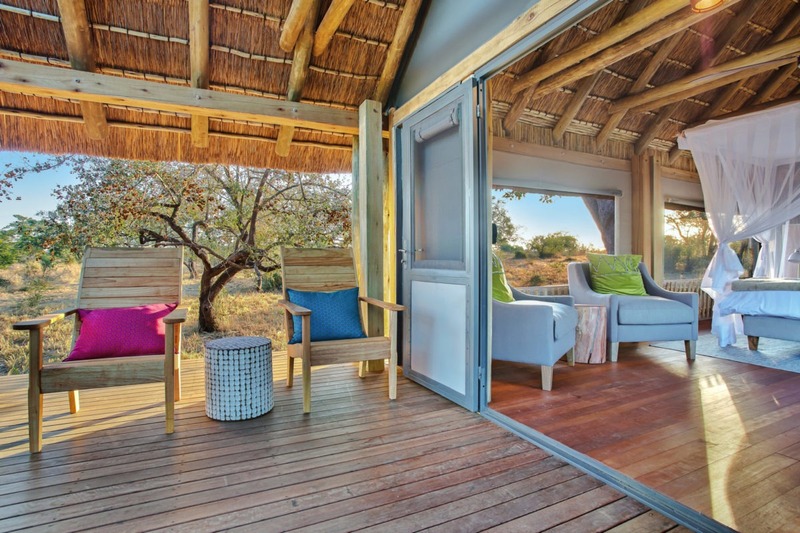 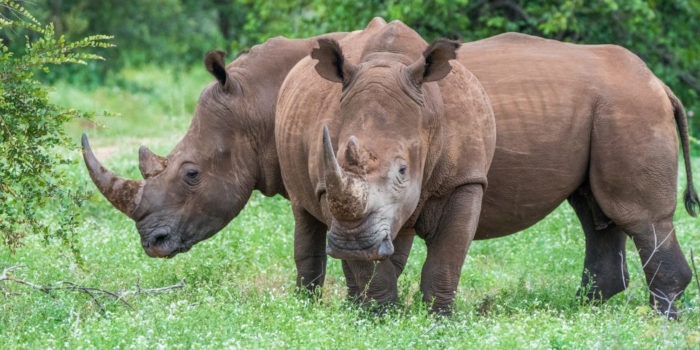 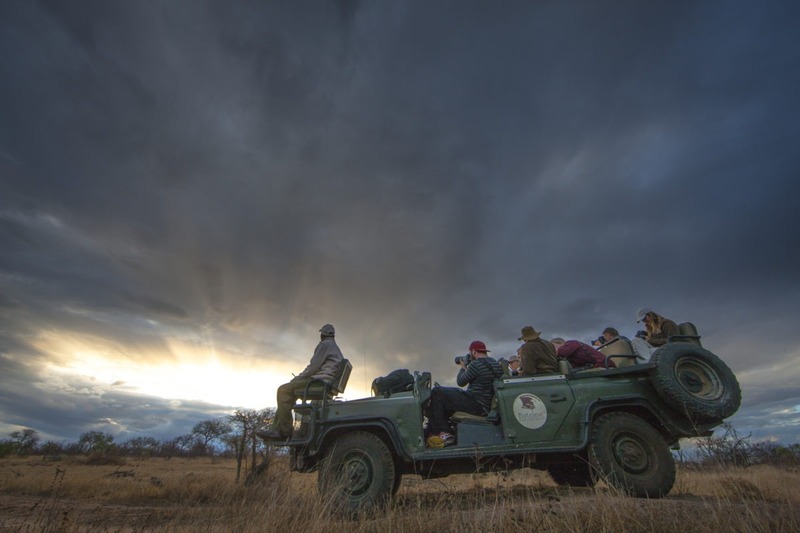 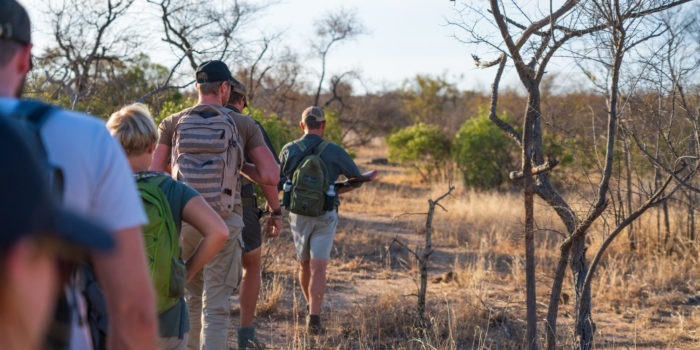 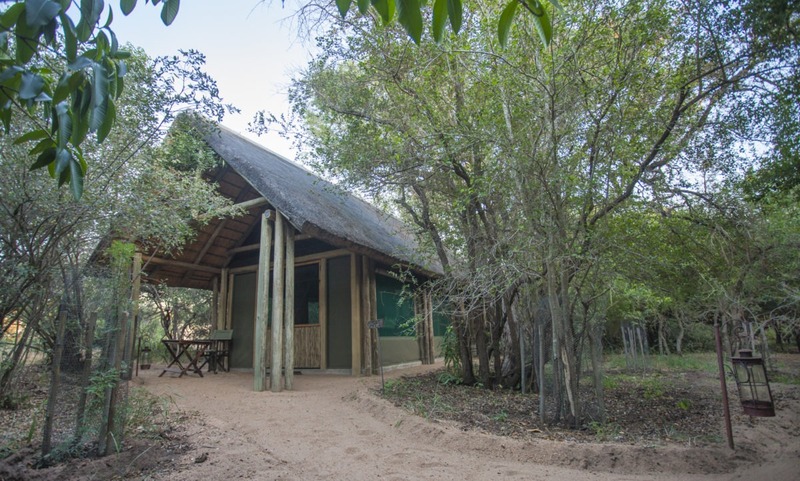 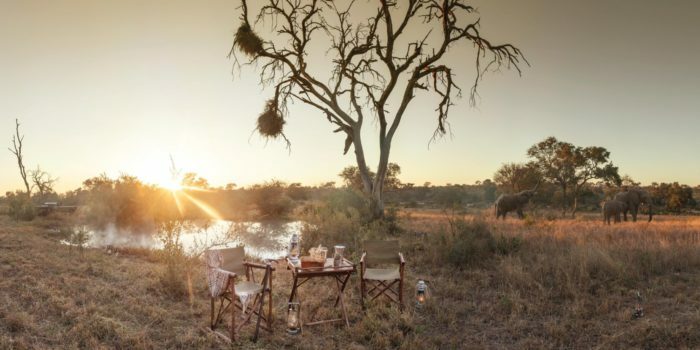 Set on private property within the unfenced Timbavati Private Nature Reserve, this low impact eco-camp offers unparalleled access to vast untamed wilderness areas with low density of other vehicles, making it the perfect venue to walk or track animals by foot undisturbed. 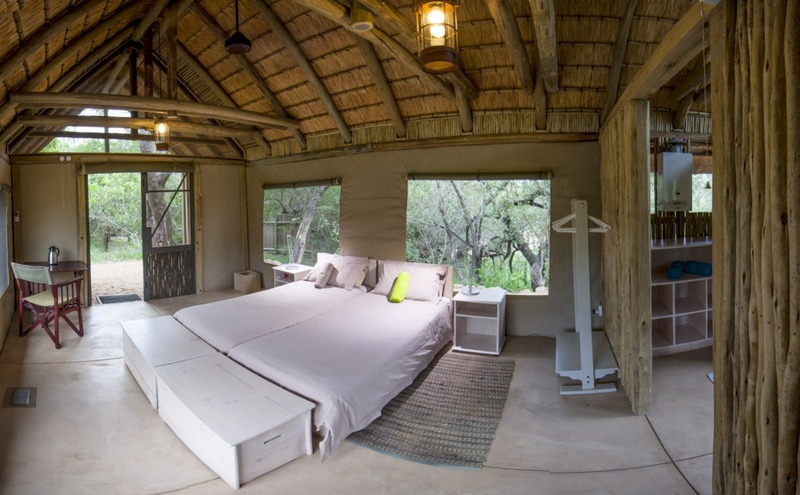 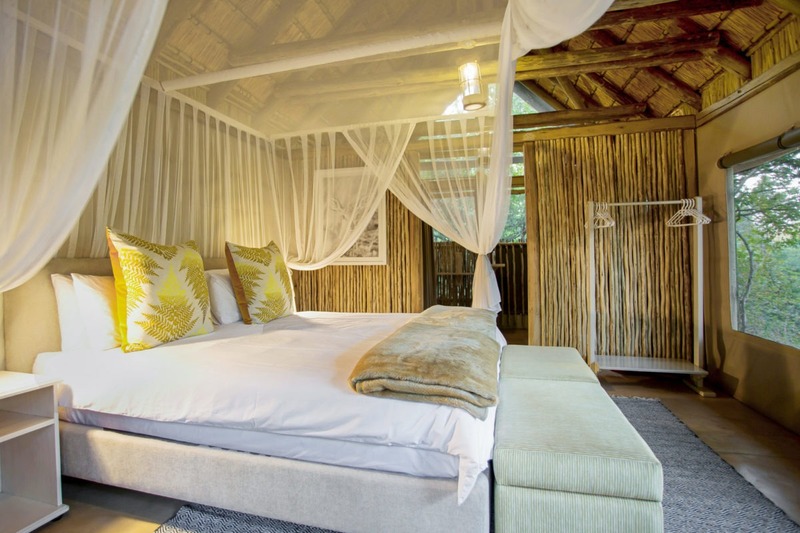 The camp has six stunning rooms that consist of a thatched roof, canvas walls and concrete base making them cooler during the hotter months. 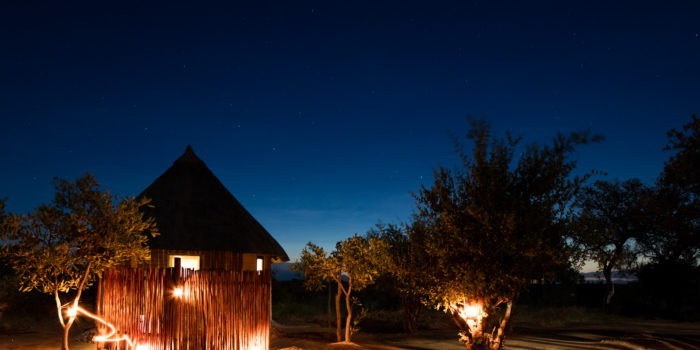 Each having an en-suite bathroom consisting of a flush toilet and a gas heated shower. Electricity is also available in the rooms. 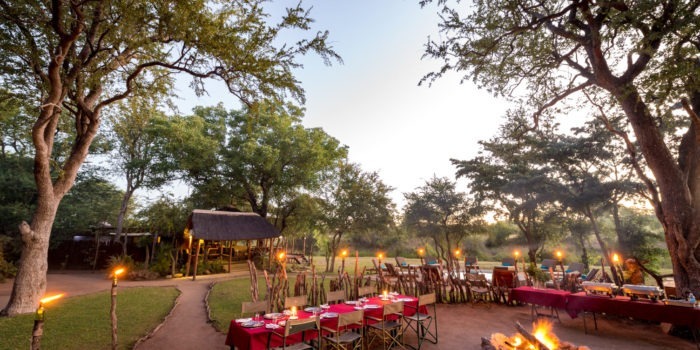 The main area of the camp offers a chemical-free swimming pool, fireplace and a large lounging deck area overhanging a dry riverbed where scrumptious meals are served. 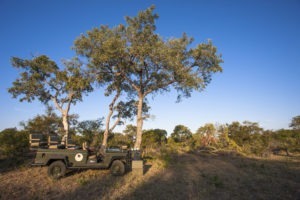 The camp is well shaded with large indigenous trees that form a thick protection from the harsh African sun. 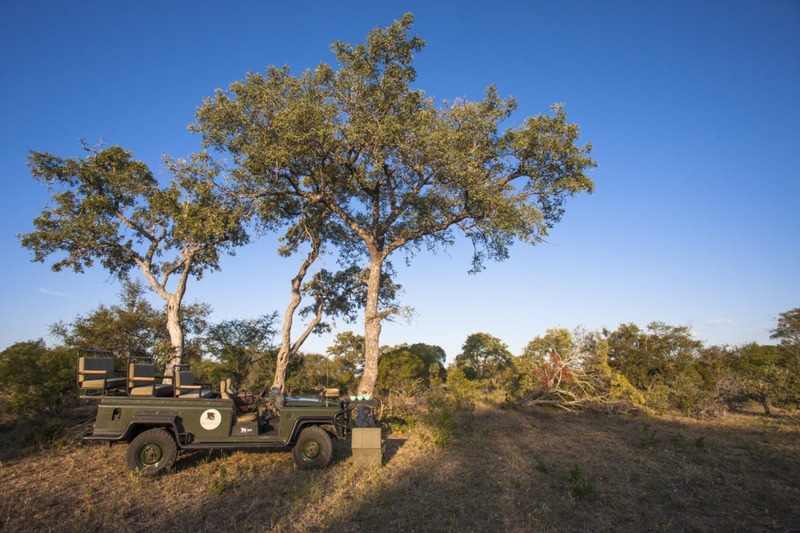 The success of the camps vegetation is due to a tall two strand electric fence which keeps elephants out but doesn’t block passage for other critters such as the resident bush buck. 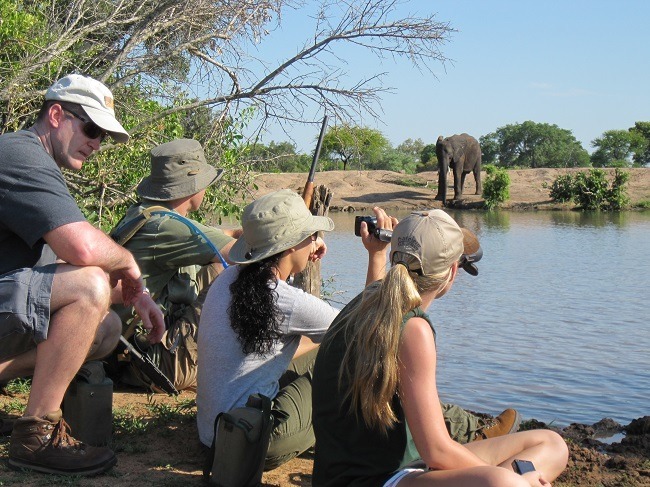 Your stay at Bateleur Safari Camp is all about the safari and whether you prefer to game view in a vehicle or on foot, you will always have the attention of the head guide and tracker to show you a truly authentic African safari. 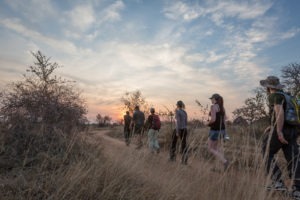 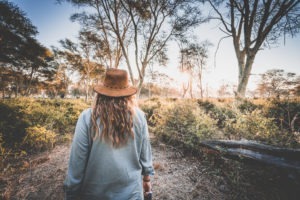 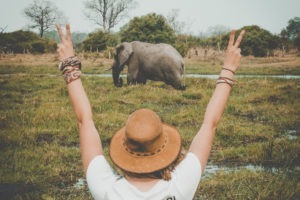 Your stay will also include a guide to practical information and instruction relating to bush craft including bush survival techniques, tracking and navigating, even pottery. 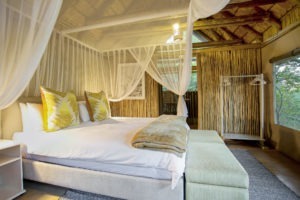 Ideal for couples, singles and small groups. 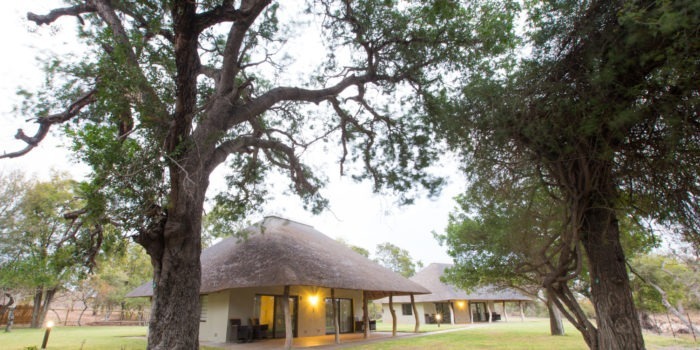 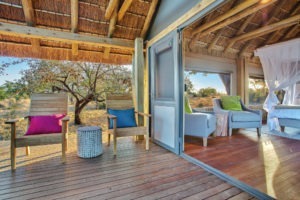 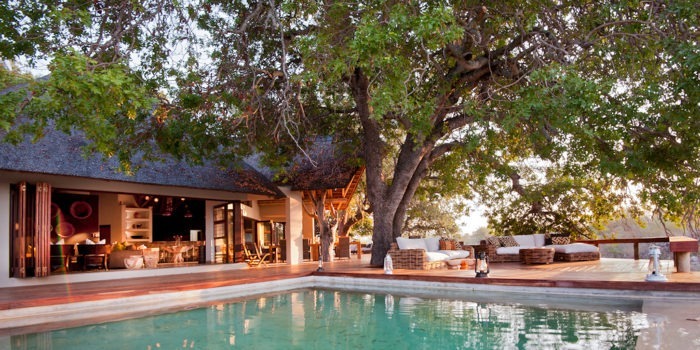 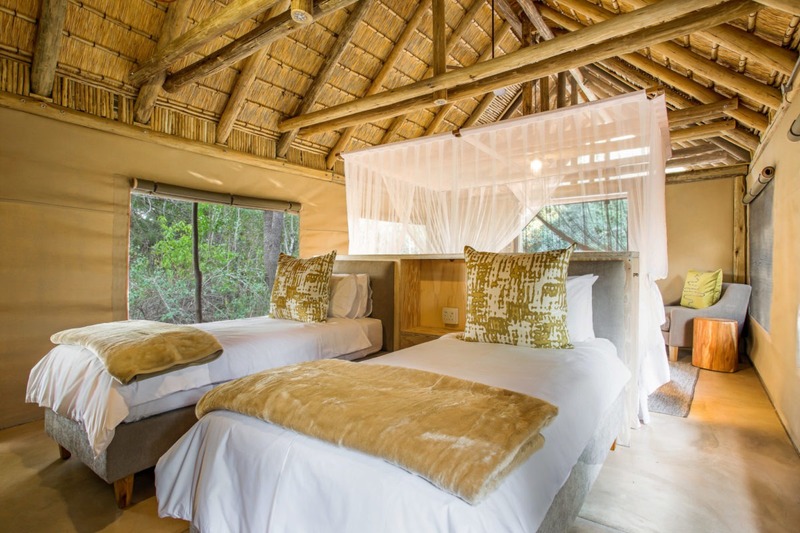 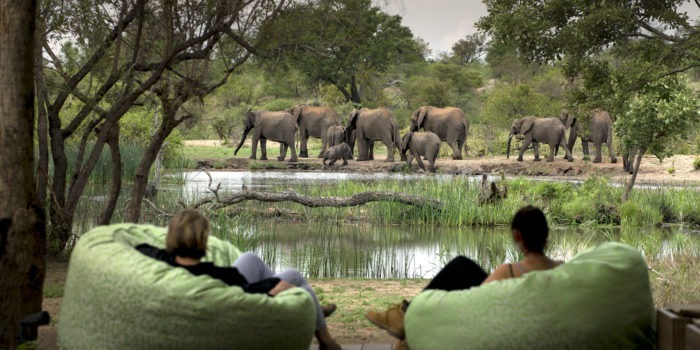 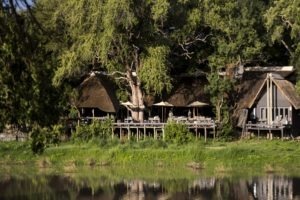 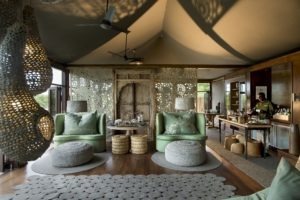 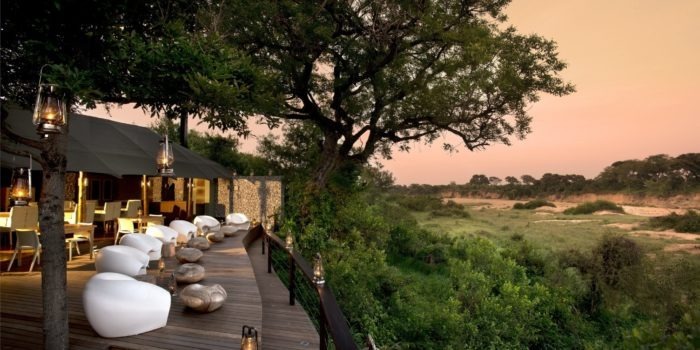 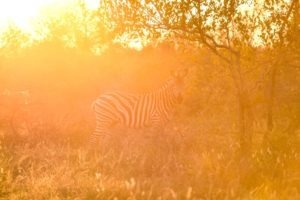 Small eco-friendly tented safari camp in an exclusive area. 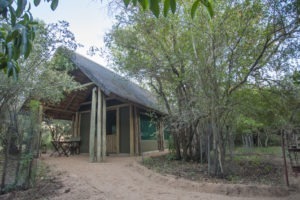 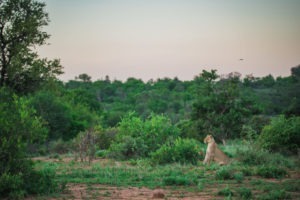 Located in the prime wilderness area of Timbavati Private Nature Reserve, part of the Greater Kruger National Park. 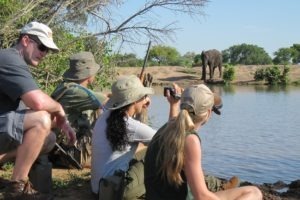 More than game drives, this camp offers guided bush walks, bush survival skills, tracking and navigating. 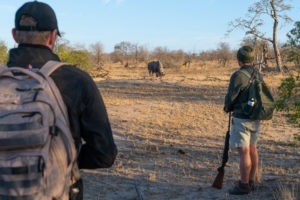 Excellent guided experience with some of the best guides and trackers in the region.